The sequel to Widdershins, when Jane’s lover, Tom, returns from the navy to find her unhappily married to his betrayer, Jane is caught in an impossible situation. Still reeling from the loss of her mother at the hands of the witchfinder John Sharpe, Jane has no choice but to continue her dangerous work as a healer while keeping her young daughter safe. But, as Tom searches for a way for him and Jane to be together, the witchfinder is still at large. Filled with vengeance, John will stop at nothing in his quest to rid England of the scourge of witchcraft. 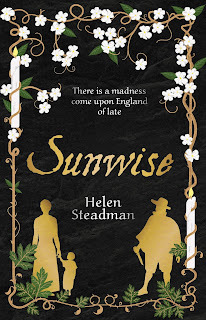 Never a day goes by when I'm not excited about books, but I have to say that I was super-excited to get my hands on an early copy of Sunwise by Helen Steadman, the sequel to the superb Widdershins. 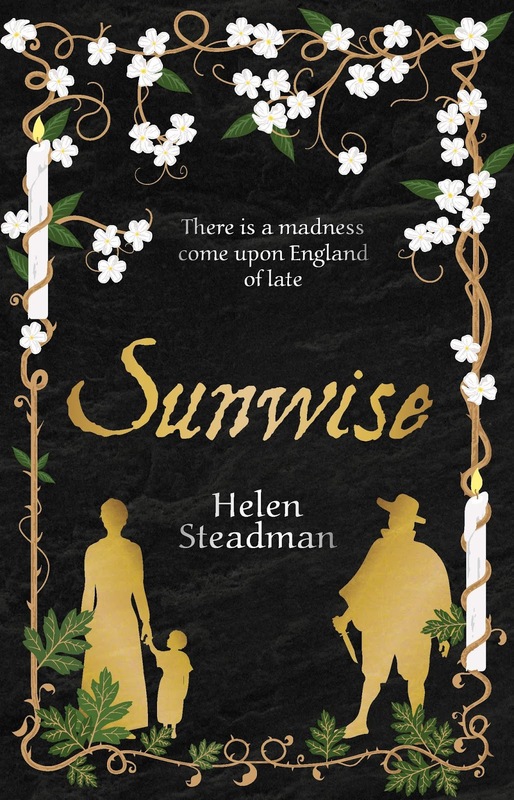 Although you could read Sunwise as a standalone, I recommend reading Widdershins first, not only because it is firmly fixed as one of my favourite books, but to fully understand the history between healer Jane Chandler and witchfinder John Sharpe. Jane should be happy with her life now that John Sharpe has left Newcastle and headed to Berwick to terrorise innocent women there. Jane is married with a beautiful daughter, who is the image of her father, and has another baby on the way but she feels great unease while John Sharpe remains free to roam the country hunting witches. John isn't the first face from Jane's past to appear though, as her sweetheart Tom, who Jane thought had died at sea after being press-ganged, returns home to find Jane married. My heart went out to this pair who were clearly meant to be together but devious minds would go to any lengths to keep them apart. 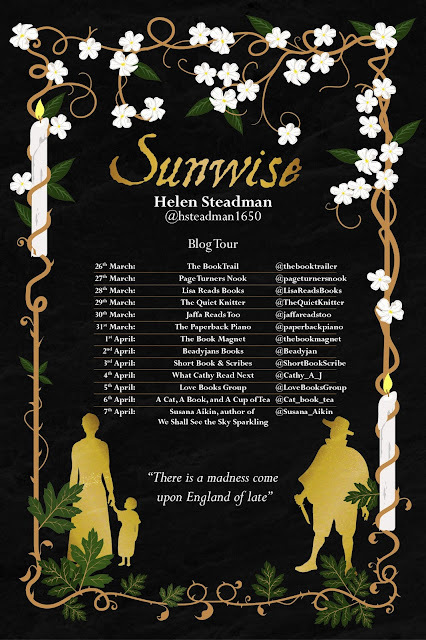 Helen Steadman's writing is exceptional and I adore the authenticity of her books, as I learned about some fascinating customs in this amazing historical fiction novel. Sunwise describes the harvest tradition of the corn dolly which was made to preserve good fortune for future crops and was also an ancient symbol of fertility. The way that Helen Steadman weaves the corn dolly custom into the story is breathtaking; it literally stole my breath as I gasped out loud at the brilliance of her imagination. I will certainly never underestimate the power of the corn dolly. Based on true events, Sunwise is exceptionally well researched whilst still ensuring that the reader's eyes are firmly glued to the page as the threads of the fictional story begin to unravel. With the threat of John Sharpe hovering over Jane like a black cloud, it's only a matter of time before they meet again. 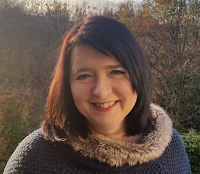 Jane is the 'witch' that got away from John Sharpe last time they met, but will the luck of the corn dolly save Jane from his evil clutches once again? I didn't just read Sunwise; I lived and breathed it. It's authentic, gripping and extremely compelling reading; if you're looking for something fresh and original in historical fiction, then look no further. I am still recommending Widdershins to friends, but with the addition of Sunwise Helen Steadman has created a perfect pair. Read one, and you'll be compelled to read them both; I can't predict the future but I know for sure that I will be recommending Helen Steadman's books for a very long time to come.